Unique 6 inch globe educates as it entertains. Colorful clear images of 115 animals are shown in their natural habitat. 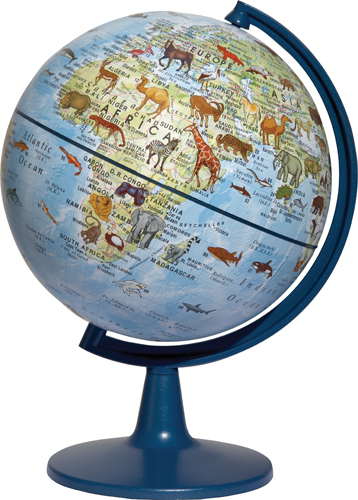 The globe comes with an animal encyclopedia which contains interesting facts on each animal.